Choosing a career is an absolutely challenging process. If you are interested in becoming a welder, we offer you to read this article. 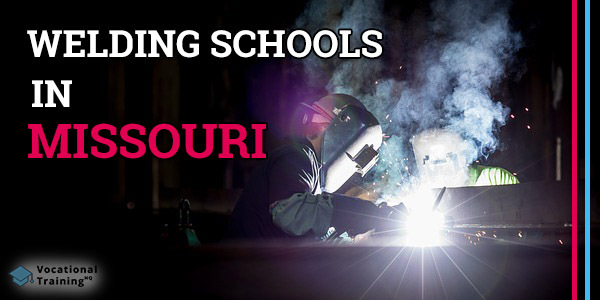 Here you can find a bunch of useful info including the list of welding schools in Missouri. 4 Where Can Certified Welders Work in Missouri? Before becoming a welder, you should understand the principles of this job. Working as a welder, you are going to use different tools to heat, melt and join metal elements. In fact, it requires a bunch of various skills. There is a whole bunch of reasons for becoming a welder. First of all, you’ll be making amazing complex constructions you can be proud of. Building and bridges made by you will be there all over your city. Working as a welder, you can work with your own hands on open air. Also, you’ll easily find a job after getting a certification as there is an incredible outcome. According to the U.S. Bureau of Labor Statistics, the number of job offers for welders will grow by 6% by 2026. An average median salary of welders in Missouri is about $38 310 per year ($18.42 per hour). A median salary throughout the USA is a little bit more ($39 390 per year ($18.94 per hour)). The top 10% of welders throughout the country have more than $62 100 annually, while the top 10% of welders in Missouri earn about $56 170. Where Can Certified Welders Work in Missouri? Are you interested where you can start your career in Missouri? Below there is a list of the best welding certification schools in Missouri. There are 48 schools that were approved by the American Welding Society’s SENSE Accreditation Program.